Local SEO Services now offer consultations to business owners who would like to learn how optimize a website without hiring an SEO company. 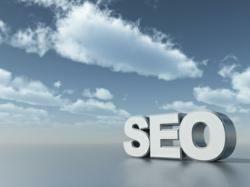 Local SEO company provides marketing solutions for small business. Most business owners now realize how important SEO is to a business. With so many businesses competing for the same customers, it is impossible to be found online without major investment of either money or time in SEO. The easiest way to be found on line is to hire a professional local search engine optimization services company that will do all the work involved in marketing a website online. What if the business owner does not have a lot of money to invest in website marketing? That does not mean that the business should not be promoted online at all. One of the alternatives to hiring an SEO services company is to learn the basics on search optimization and promote the website yourself. There are a lot of myths and misconceptions surrounding the search engine optimization process. It is easy for the person not being familiar with website optimization to get confused and start working in the wrong direction. The search engine optimization guidelines change so often, that methods used to rank a website high just a few months ago, may not be acceptable today. That is why it is a good idea to pay a small fee to an SEO professional that would be able to explain the basics on how to optimize a website yourself. How to choose a domain name that will hold value. How to obtain back links for your website. Whether the owner of the business just starting out in search engine marketing or have some experience in marketing a business on line, he would be able to benefit from this consultation by getting all the latest information and changes in SEO industry. One of the benefits for the business owner of receiving a consultation from Local SEO Services is to find out how competent the company is and also evaluating the difficulty of the SEO project the business owner is trying to undertake. It is possible that after a 15 minute consultation the business owner will find out that the time that will have to be spent on promoting their website is not worth the savings and it will work better in the long run to hire Local SEO Services for the project. Phoenix based SEO firm Local SEO Services specializes in organic search results marketing with the emphasis on the local small business marketing. The list of services being offered to the public includes: consulting, link building, web design. To obtain more information about this firm visit Our Local SEO Services official website. Press release was written by http://seoserviceslocal.com and web marketing services.